Flip-flap heaven! Funny classics from a king of novelty books. Prepare to laugh and learn. 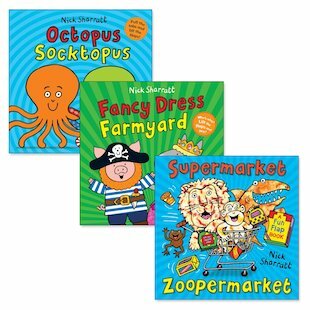 Bursting with cheeky surprises, these books are super fun to play with. Touch them. Tweak them. Laugh out loud! Peek under flaps, tug moving tabs and giggle at cheeky wordplay. They’ll be a smash hit with your entire family. Just don’t let your grown-ups steal them!